If you would like to support us financially with a monthly, quarterly or yearly donation, your best option would be to sponsor one of our donkeys. 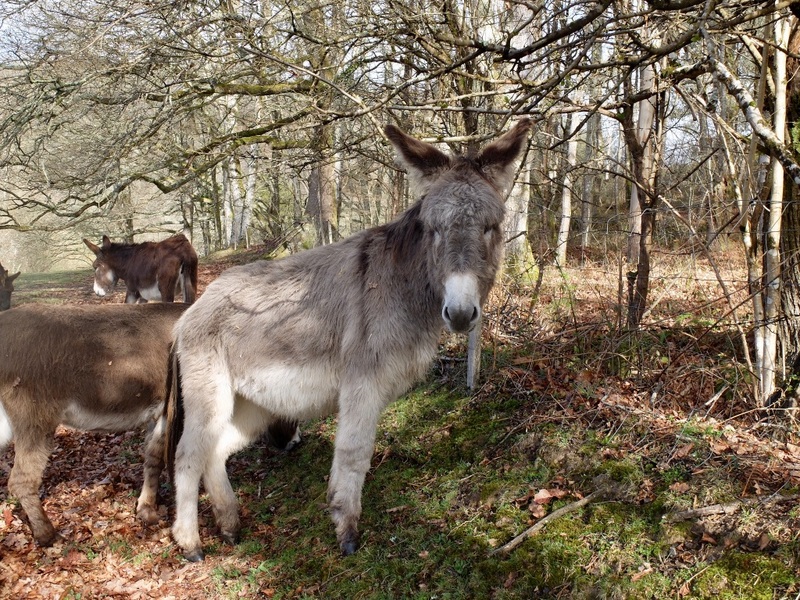 We have selected seven donkeys you can choose from. Their stories are representative of almost all of our other donkeys. 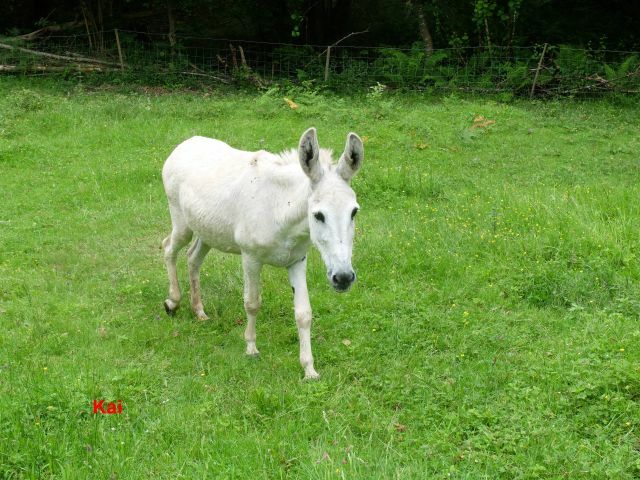 They were neglected, maltreated, abandoned, exploited or sometimes the former owners were just not able to take care of their donkeys any longer. Sponsoring a donkey is simple. You can select your favourite by clicking on the photos below. 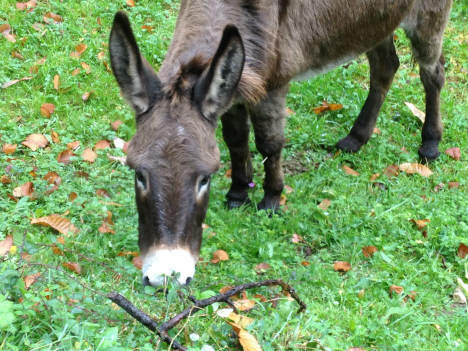 When you have found your sponsor donkey please send an email to our secretary, Lynn: pdelburro[AT]gmail[DOT]com . For example: Chulo for 5€ per month, Wikke for 25€ per quarter or Xana for 40€ per year. The amount is up to you. The minimum is 40€ a year. 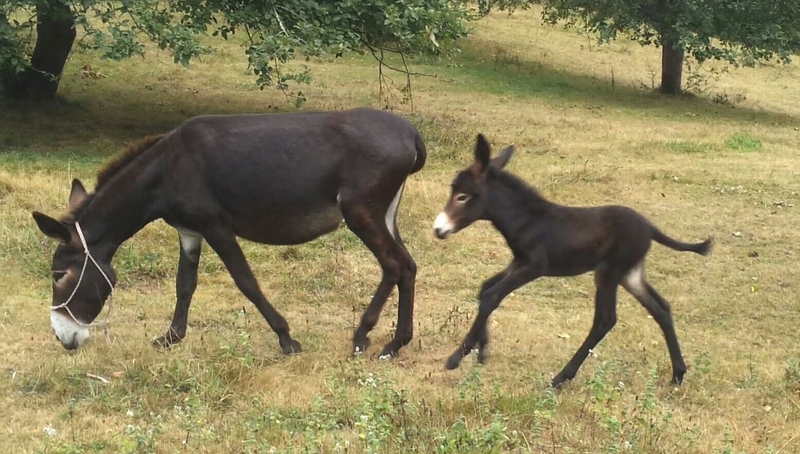 The next step is to make an automatic transfer at you own bank to the bank account of the association: Asociación Protectora de El Paraiso del Burro, ES16 2048 0030 4234 0400 0391. This way you stay in control of your payments and of course you can quit any time. 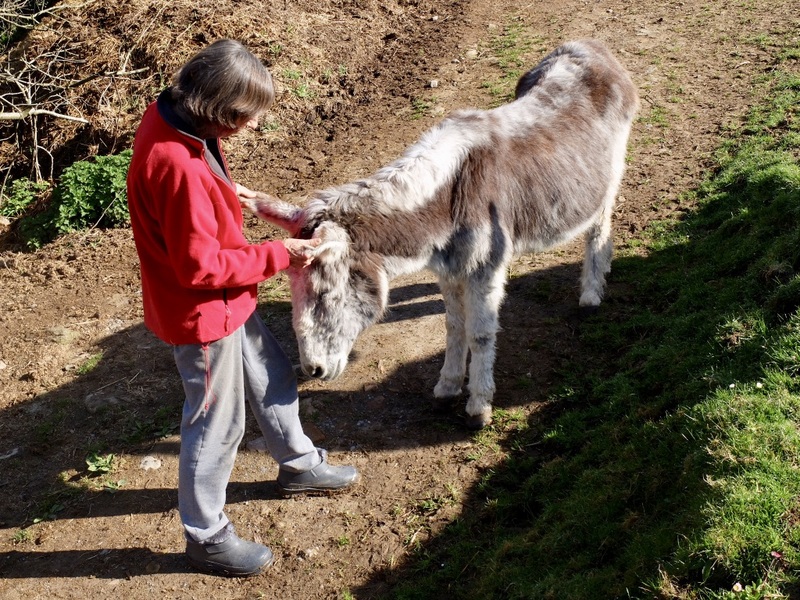 Your donation will be spent on the wellbeing of all donkeys, horses and ponies at the Donkey Paradise, for example to buy hay, straw, food supplements and medicines, and to pay for the farrier, the dentist and the vet, when necessary. On behalf of all the donkeys thank you so much for your support! Tied with a rope around one backfoot, Wikke stood in the field. Her hooves were far too long and therefore she walked like a duck. She was also rather afraid of people. You could only touch her when tied. She shivered the moment she felt your hand. We worked patiently with her and now she really enjoys a hug and a good scratch. Her best friend is Maggie – wherever you see Maggie, you will see Wikke close behind her. Xana had been chosen for breeding, which means a short life of six consecutive pregnancies and then to disappear into the chorizo! We rescued her and she arrived highly pregnant even though she wasn´t even a year old. A couple of months later she surprised us during the night with a beautiful and healthy babydaughter. We have tried hard, but so far haven´t succeeded in completely convincing her that people can also be good to her, but we´ll keep on working with her, as we have also seen a lot of progress already. Her happy daughter doesn´t know any better and can be pretty naughty every once in a while. His elderly owner left the village to live in an old people´s home. Pelayo stayed behind alone in his big field. Nobody in the village cared for him, so that his hooves grew and grew to a length of over 40 cms. When walking was no longer possible for Pelayo, we were requested by villagers to come and take him away. At first Pelayo wouldn´t let us take care of his hooves. He was so afraid, that he would kick like a madman. By now he has learned that we are helping him and he likes to rub his head along your leg when you enter the stable. Finn was born wild in the Sueve mountains, where many Asturcones live. 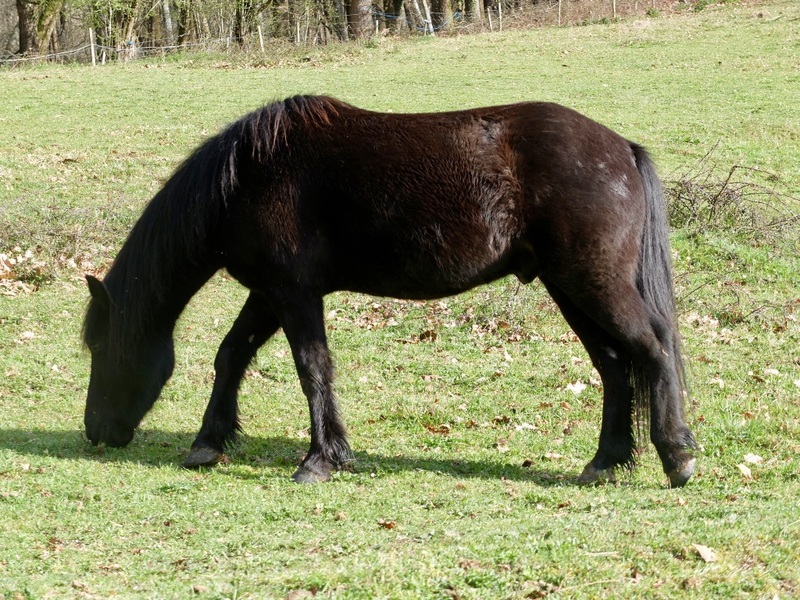 These are typical for this area: small, muscular, dark horses. 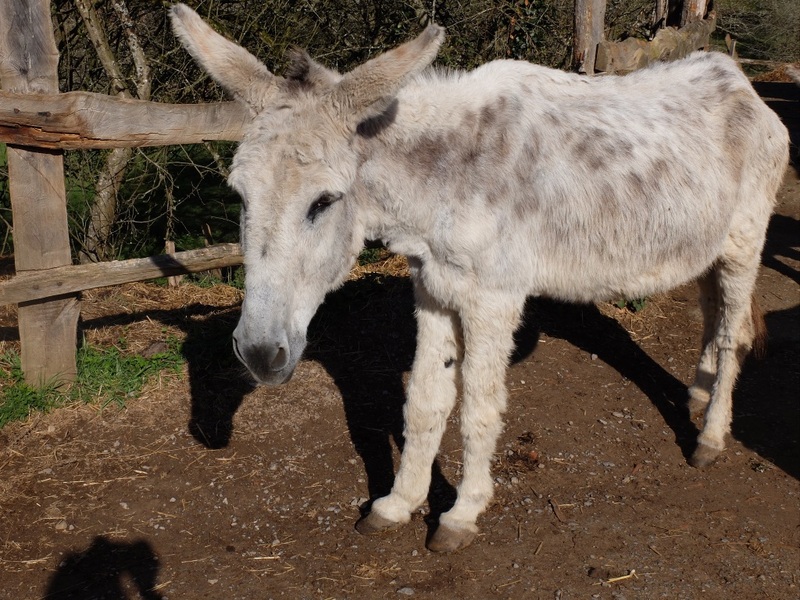 A group of them were rounded up to be slaughtered in Extremadura, but Finn was too ill to travel and was dropped off at the Donkey Paradise, more dead than alive. Very slowly he recovered and changed from a frightened foal into a beautiful, self-assured male horse. Finn, Mara and the Shetland ponies form a nice little horsegroup where Mara is the boss. 29 years old he was, our Chulito, when his owner allowed him to leave his heavy transport job and gave him to the sanctuary to retire. He has been here for a long time and is the oldest donkey now. Chulo is still doing very well, albeit with bad hips and very poor eyesight. He was the cuddly favourite of many volunteers, but he is getting more and more grumpy now, especially when his carers try to brush him. Little Rocco, 3 months old and adorable, would have been eaten by the winner of the lottery where he was the big prize. A young woman from Madrid, Rocio, happened to pass by and bought all the remaining lottery tickets. Needless to say, she won him and brought him to us, where he is enjoying life to the full with his many donkey friends. Like Pelayo, Kai was left behind when his owner went to live in a home for elderly people. Unlike Pelayo, however, Kai got taken care of by the people in the village. They looked after him very well and even visit him every now and then. Kai looks much younger than he really is and his worn-down teeth disclose his age better than his youthful face and body.